The Washington Wizards host the Western Conference-leading Denver Nuggets Thursday night at Capital One Arena. 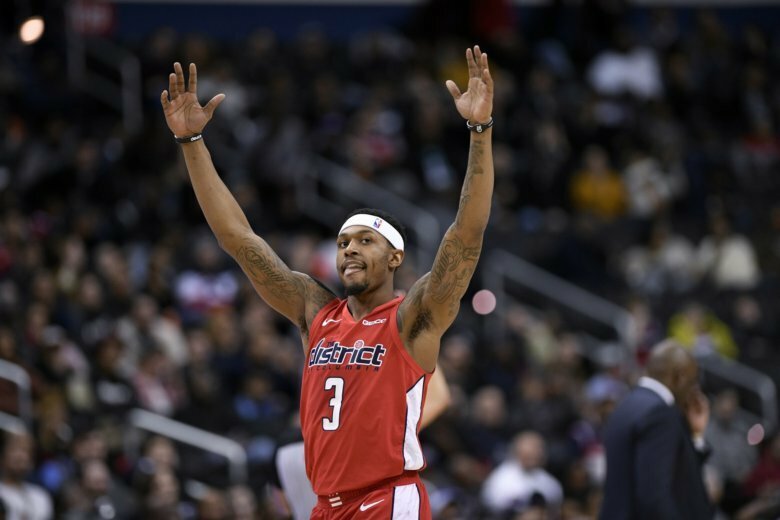 The Washington Wizards host the Western Conference-leading Denver Nuggets Thursday at Capital One Arena. The Wizards, on the second night of a back-to-back, were unable to get the win Wednesday night in the Windy City, dropping a close one to the Chicago Bulls, who were without Zach LaVine and former Wizard Otto Porter Jr.
Scott Brooks got 28 and 27 from Jabari Parker and Bradley Beal, respectively, but it wasn’t enough. Lauri Markkanen went for 32 points and 13 rebounds in an overtime victory. The Nuggets are coming off an impressive victory Monday against the Boston Celtics in Beantown, where they downed Kyrie Irving and his counterparts at home. Nuggets guard Isaiah Thomas received a heartfelt video tribute in the first quarter, and from there the game was out of reach. Stat to know: In 88 regular season games all-time, the Nuggets are currently ahead of the Wizards, 51-37.